Once again this year, Heinen’s R&D department has been keeping very busy. After expanding our range of CR4 and CR5 burglar-proof doors (EN1627-1630) last year, we can now present our new fire resistance 120 and 180 min. doors. 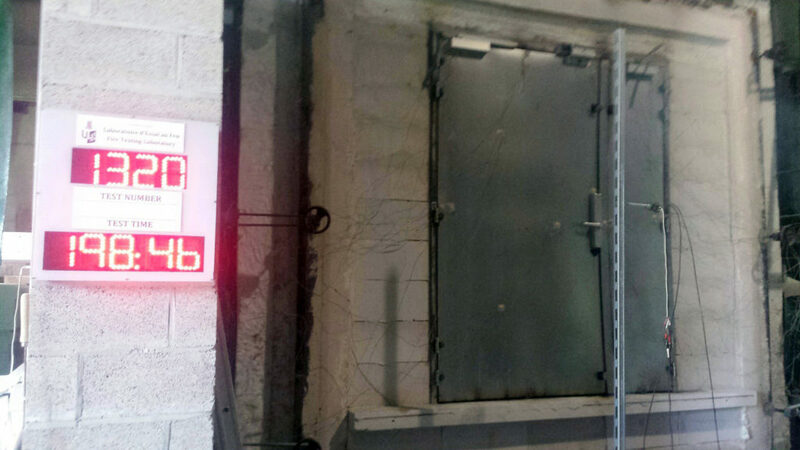 Here again, we are using our high-quality basic Metal+ door as the foundation. Thanks to its &apos;Metal+&apos; concept, Heinen guarantees the quality of ALL the doors: with its mechanical resistance and maximum frequency of use, the Metal+ concept guarantees that the door will continue to operate properly, even in a &apos;hostile&apos; situation with very frequent use. Secondly, by adding specific performance features, this Metal+ door can also provide fire resistance, burglary resistance, acoustic insulation, etc., with glazing, possible access control, etc. EI1 doors, 120 min., single and double. This single door with 120 minutes&apos; fire resistance is also available with CR3 burglar resistance. EI2 EW doors, 180 min., single and double. This single door with 180 minutes&apos; fire resistance is also available with CR3 burglar resistance.